Let’s meet at La Spaziale stand, to discover the evolution of the S15 and to test the reliable performance of the S40 Suprema. RIMINI, Italy – La Spaziale takes the chance of the 37° edition of Sigep (Rimini, January 23-27, 2016) to support the made in Italy excellence in pastry, confectionery, ice cream and bakery industry, which are so much related to espresso coffee. Beside displaying the whole range of coffee machines by the company stand – hall A1 Stand 196 – at Sigep, La Spaziale will install over 40 professional coffee machines at the stands of the major Italian coffee roasters and in the area dedicated to high pastry challenges under the name of Pastry Events, as technical support to the sponsor Hausbrandt Trieste 1892 Spa. The capillary installation at SIGEP of S40 Suprema (in the picture), launched on the market in the second half of 2015, will grant perfect cappuccino and espresso cups served during the whole exhibition. S40 Suprema, “ the top available for everyone”, has been welcomed with great enthusiasm by baristas, roasters and technicians who have appraised its features and potential. Anyhow at Sigep the great news is represented by the prototype of the new S15, which can be admired and discovered at La Spaziale stand. The compact S15, which will enter production in the next few months, is a concrete avant-garde answer to the specific requirements of foreign markets and of low consuming clients of ho.re.ca. industry such as restaurants, hotels and pastry shops. The innovation starts from the project of a highly flexible system of utmost efficiency, which allows the compatibility with various capsule formats and a direct capsule load and ejection system, as alternative to the manual use of the portafilter. 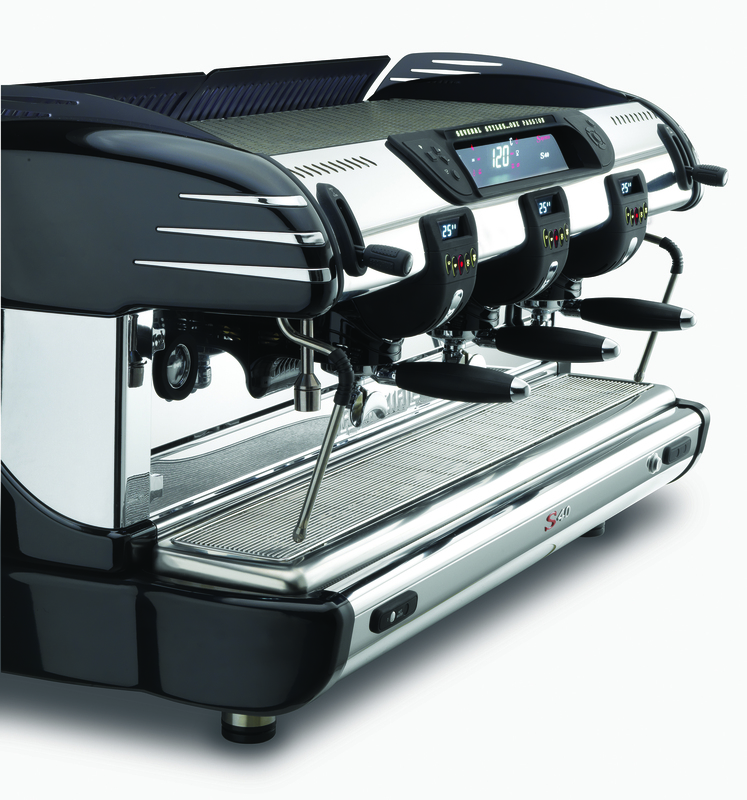 The new La Spaziale concept is a compact 2 group machine with a wide upper cup tray, necessary for professional use, an inner 6 liter tank with prearrangement also for connection to water mains, a 2,5 liter boiler for hot water and steam and the compatibility with capsule extraction systems as Nespresso, Fap and A Modo Mio. Always looking for new talents, Rimini Fiera recalls the participation of the best pastry artists, coming from all over the world and ready to compete in the challenge within Pastry Events: also La Spaziale is taking part to the event as technical support to the roaster Hausbrandt Trieste 1892 Spa, Event Sponsor of the events dedicated to the pastry masters, making available for the contestants ten coffee machines S1 Armonia. In particular, on Saturday 23rd and Sunday 24th January, the events are dedicated to the World Championship of Feminine Pastry, The Pastry Queen. The competition theme this year is the dance art and among the various challenges, the best pastry women, on an international level, have to prove their creative ability in the preparation of a coffee dessert glass, using a selection of single origin 100% Arabica provided by the sponsor Hausbrandt and prepared with La Spaziale equipment.